The last time ELLE Russia got our attention was when Bella Hadid starred on the September cover. Now, it’s Karolina Kurkova making us take notice of the newly unveiled January 2018 cover. Long-term ELLE collaborator Gilles Bensimon photographed the blonde beauty, who gives it her all for the striking newsstand cover and throughout the entire cover editorial. In the image, Karolina cozies up in a fluffy Miu Miu coat and Versace shades, giving us major flashbacks to the 2000s. Our forum members were thrilled with the cover. 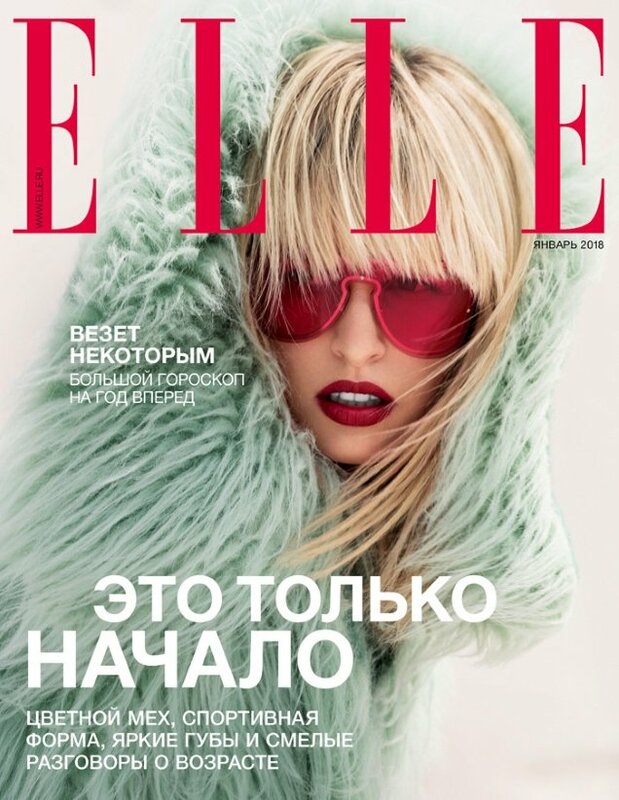 “ELLE Russia is much better than Vogue Russia. Ekaterina Mukhina and Vadim Galaganov always do a great job. This team is fabulous,” commented ciaoherrero. “Right? Mukhina is actually one of those few persons who are trying to save Russian fashion,” agreed christian zh. “LOVE this. Such a dynamic, vibrant editorial. She’s such a supermodel,” declared happycanadian. “This is actually stunning! Bensimon is really a true professional, the way he captures those furs…..masterful. It looks soft and luxurious. Great cover and edit, even though I’m not her biggest fan,” confessed Benn98. Check out Karolina’s accompanying cover story in all its glory and voice your opinion here.